More than half of the world seriously celebrating the Christmas holidays will be doing so with the freezing cold, white snow, or both. So if you decide to spend the holidays by replacing the white snow with pearly white beaches and the cold with tropical calm and warm weather, the Maldives is the perfect holiday getaway to celebrate the arrival of the New Year. What better way to meet 2019 than with paradise-like waters and beaches as well as picture-perfect sceneries and a tropical climate free of pollution and hurricanes. In Malé city and most towns and villages, Maldivians are already celebrating through New Year’s Eve with performances by singers, dancers, and drummers usually provided just by the local residents. Houses and streets are decorated with colourful lights like it is during Christmas. Some of the restaurants and all of the resorts will be throwing their own New Year’s Eve party. Surprisingly, carol singing from house to house is done in the Maldives on New Year’s Eve and households prepare dishes for the entertainers. Some exclusive beaches hold their own big event with buffets and dancing. If you decide to spend the New Year holidays in a resort or hotel to be part of the exclusive large party celebration with buffet, you need to book in advance as often these resorts and hotels get filled to capacity during the holidays. 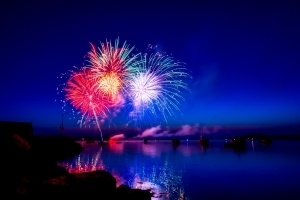 Before you book a resort or hotel, do inquire what New Year celebrations they will be doing. Do not book into a place that asks you to pay a mandatory fee for the New Year’s Eve buffet party. Remember that the Maldives is a Muslim country so liquor and alcohol is strictly prohibited except for the most isolated and expensive island resorts. Also, since pork is prohibited, you may not enjoy most of what is served in the buffet, and you will end up paying too much. One suggestion is to just check into a hotel or resort and spend New Year’s Eve down at the Marine Centre for the big barbecue. Local people as well as other tourists will be there, with several local groups in charge of the barbecues. Though no pork will be served, beef, chicken, and a variety of fish barbecue dishes will be served. 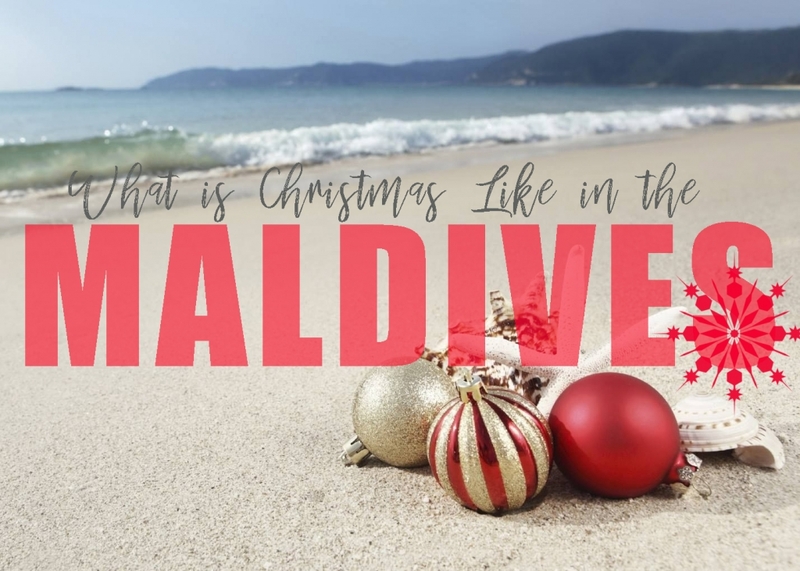 What is Christmas Like in the Maldives? If you’ve lived your whole life in the Western Hemisphere then you know how cold, damp, and miserable the winters can be. No matter how many times you hear “Winter Wonderland” and “White Christmas” played in the malls, you know better. If you’re living in the Southern Hemisphere, then you know how hot summers can get during December. To escape the miseries of extreme cold or heat, a holiday in the Maldives sounds dashing, with all the pearly white pristine beaches and clear turquoise waters of the Indian Ocean, untouched by any pollution. But what is Christmas really like in the Maldives? Oh, did we mention the lovely weather? It’s mostly sunny and clear, with some occasional rainfall but none that lasts a full day. Not many know that the Maldives celebrates a holiday in December called Shaheedhunge Dhuvas or The Martyrs Day. It is an official Maldives public holiday that honours the death of Sultan Ali VI who is considered a national hero and religious martyr. In 1558 the Sultan fought the Portuguese and died bravely in battle. This religious holiday is roughly the equivalent of Christmas in the Maldives. Many locals encourage tourists to experience Martyrs Day instead of Christmas for a different experience. Most of the locals simply attend prayers at a local mosque and afterwards prepare a meal at home or explore and relax at a neighbouring island. If you plan to spend your Christmas or New Year in Male City or in one of the towns on one of the islands, you will definitely get to experience the Sultan’s public holiday since restaurants and coffee shops will offer their special holiday food preparations and coffee brews. If you plan to spend the holidays at a resort, they offer options for preparing a Christmas meal, except for pork products, which is a bit rare, the Maldives being a Muslim country. Some resorts are willing to prepare pork as an inclusion option, but you need to tell them far in advance. If you have that one relative or one friend who has experienced a holiday in the Maldives, then you need to hear their stories about the almost paradise-like beauty of the islands. But if you can, compare the stories of spending a holiday on just one island or going around the islands and doing some exploring. So if you’re not the type to just lay around the beach or hammock all day, perhaps you need to see the different islands of the Maldives up close and personal. And remember that some of these islands are uninhabited. 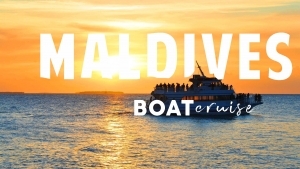 Cost wise, a boat cruise Maldives is much more affordable than staying at an exclusive island resort. But unlike a live aboard diving cruise, you don’t get to live on the boat. You stay either at pre-destined accommodations on land and you get to camp on uninhabited islands. Boat cruise tours usually last between 4 and 7 days. These tours even provide a great platform to get to know the local populace. The benefits of a boat cruise becomes evident on the first morning when you come face to face with a new reef or atoll to explore, inhabited by a variety of marine life such as turtles, sharks, or manta rays, to name a few. Each morning is more or less this way, and during meal times the on-board chef provides brilliantly prepared fresh meals and snacks. On the way to a new island the boat captain and tour guide will engage you with talk about the island, its history, and what possible species you might encounter in those waters. There will be many memorable moments on a boat cruise that you won’t experience stuck on an exclusive island. You get to swim with turtles, beautiful angel fish, and explore uninhabited islands. At night, you’re safe on land at predestined accommodations or on the beach in a warm tent. Planning to spend the holidays in the Maldives? Wonderful and jolly good choice, and so, here are some minor things to remember before and during your travels. All tourists are issued a 30-day visa, the normal valid international travel requirement issued by the Maldivian government as an entry permit to the country. There are daily flights from around the world to Velana International Airport (formerly Ibrahim Nasir International) in Malé City, the capital city. While some resort and holiday packages include flights, most do not, so you will need to book your own tickets in conjunction with whatever packages you procured. Almost all major airlines cover flights to and from the Maldives. If you booked for a holiday package, a representative will always be at whatever airport you are arriving to meet you. The usual advice from resorts will be from November to April. However, the Maldives can be visited any time of the year since whether the weather is in the wet or dry season, the islands are always bathed in fair weather since they are not in the usual path of storms, hurricanes, or cyclones in the Indian Ocean. If you are a diving and snorkelling enthusiast, there are available diving packages such as that offered by Adventure Maldives. Most of the islands are beautiful to explore underwater with natural rock formations, lagoons, and a variety of undersea life. 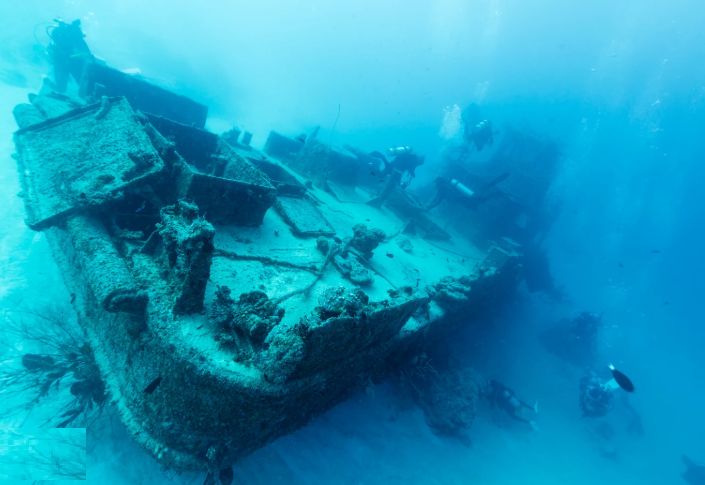 Some islands have dive wrecks that date back to World War 2 or are old boats and ships that have been sunk purposely. For diving professionals, you only need to bring your C-cards, log books, and dive gear. Tanks and weights are provided in diving packages. Should you choose an itinerary for “live aboard diving,” the diving boats are first class and well maintained. The ocean is calm most of the time. Each diving boat has at least 3 Padi certified diving guide on board. All resorts and travel firms in the Maldives accept most major credit and debit cards, except American Express and Diners Club. Bank transfers are also accepted. All credit cards are subject to a 5% fee. Currency accepted for transactions is the local currency Rufiyaa and U.S. Dollar. Other major currencies can be exchanged at all banks, tourist island resorts, and hotels. What Maldives Holiday is the Best for You?